Nick is an experienced workshop facilitator and teacher in creative writing, poetry, performance and theatre making practice, and creative development. He is passionate about working with people to help them develop their creative and artistic potential. As a workshop facilitator he has worked with organisations including The Southbank Centre, The Poetry School, Apples and Snakes, Spread The Word, Keats House, London Metropolitan Archives and New Writing South. He has also taught performance making at Queen Mary, University of London and Kingston University, and is a tutor in Creative Writing and Literature at City Lit. He has toured a masterclass in solo show making for Apples and Snakes, created a series of workshops for Ideastap with young practitioners, worked with emerging writers in libraries for Spread the Word, and designed and delivered a large-scale education project engaging students with writing poetry inspired by medieval scribes for City of London. Topics of Workshops and courses he has taught have included autobiographical writing and performance making, approaches to creative writing, approaching, completing creative projects and writing text for performance. Nick has delivered workshops at venues and festivals internationally. Nick is an experienced and skilled Dramaturg and has worked with variety of organisations and artists to develop projects, including working with Rachel Mars and company as Outside Eye on Our Carnal Hearts and script reading for The Royal Court Theatre. As a Director Nick has worked on projects including The Venus Papers by Lydia Towsey (national tour), Bradgate Writers Group anthology showcase (part of a groundbreaking NHS arts engagement project) and directed a company of actors and performers for Fair Field. Nick is particularly interested in work that engages with alternative and cross-form dramaturgies, and is available for consultation. Feel free to get in touch to discuss you project development needs. Nick offers practical, tailored and supportive mentoring to emerging artists, writers and poets, working with them bespoke to develop their work, professional development and profile. Nick has mentored artists for a number of organisations including Apples and Snakes and Spread The Word. Pow! is a new initiative from Nick Field in association with Spread the Word and Wotever World and funded by Arts Council England. It is an opportunity for London-based LGBTQ creatives (aged 18-25) who want to write and perform their own work, develop their practice and explore the possibilities of live literature. Pow! first ran in 2018 as a series of workshops, mentoring and a showcase at Bar Wotever at The Royal Vauxhall Tavern. Workshops and mentoring were facilitated by lead artist Nick Field, with workshops from guest artists Hannah Silva, Malik Nashad Sharpe (alias Marikiscrycrycry) and Keith Jay, with support from Associate Artist Katayoun Jalilli, and Spread the Word. 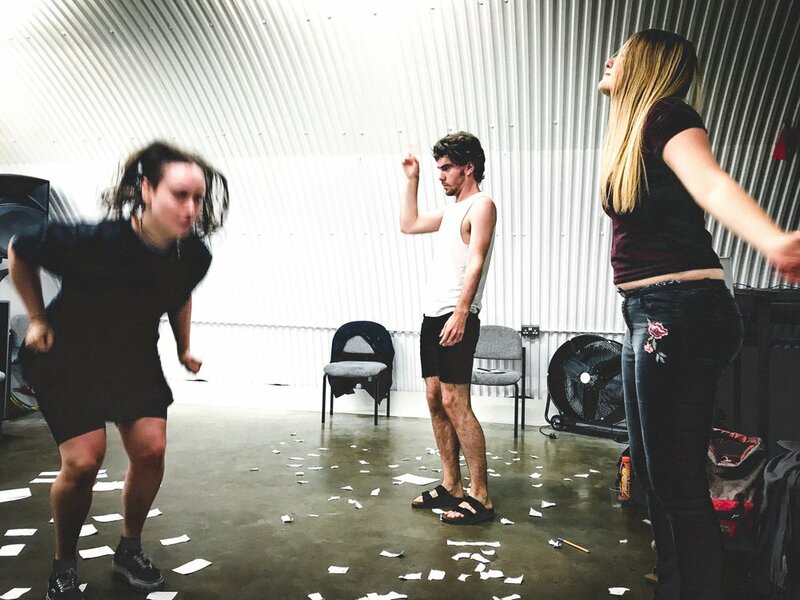 The aim was to create a group of artists with diverse backgrounds and practices looking to be inventive, creative and open in their approach to making new performance work with their own words. Following the success of the first round of Pow!, plans are in progress to make it happen again in 2019.